Tone material is the most orthodox material in monochrome cartoon and illustration. 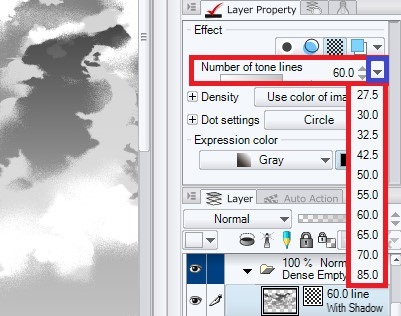 You can reuse the tone you purchased once in digital drawing. 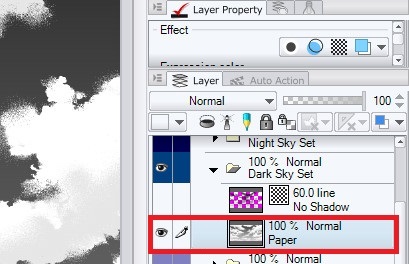 On this page, we will tell you how to use Manga Material’s sky tone material in Clip Studio Paint software. What is a Tone Material? 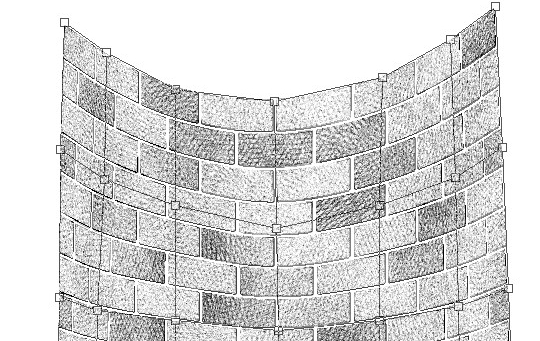 Tone material is the basic for monochrome drawing. In digital, it can be freely used as many times with single purchase. Also, you can freely adjust the “Number of screen frequency” and size. 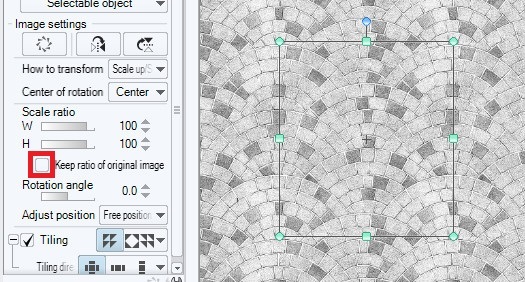 2.Select the operation tool from the tool menu and check the tiling on the tool property palette. You can change the size of image material freely. You can change the horizontal width and vertical width by unchecking keep ratio of original image box. If you choose Free Transform, you can transform with perspective. Free Transform will make it look poor, but it does not affect printing. 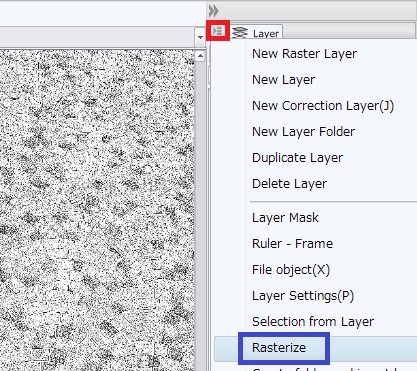 If you are concerned please convert it to raster layer. Please also refer to movie. 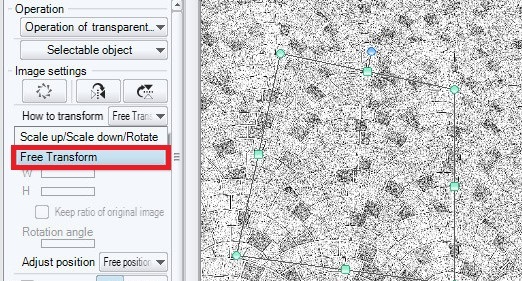 The rasterized layer can also be cylindrical by using mesh transformation. Please also refer to application method. 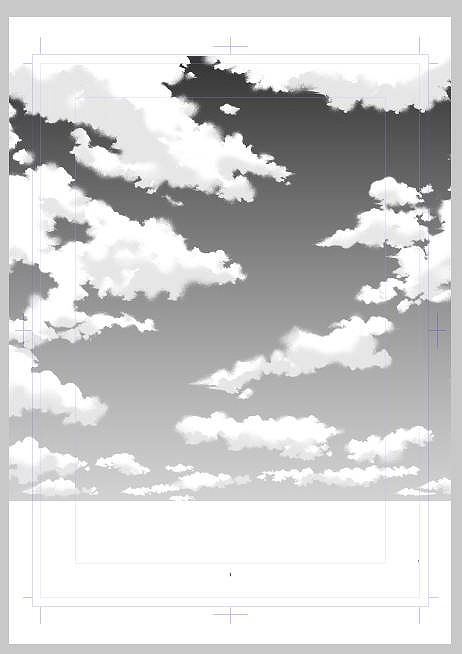 Sky Tones・Basic setting and material registration method. 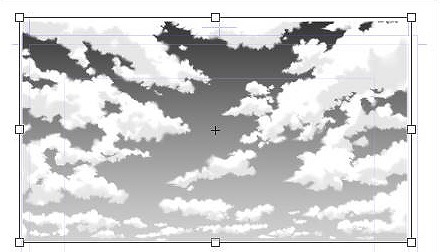 We will set tone basic setting and material registration of clip studio. The figure below is a layer composition of Manga Materials tone material. 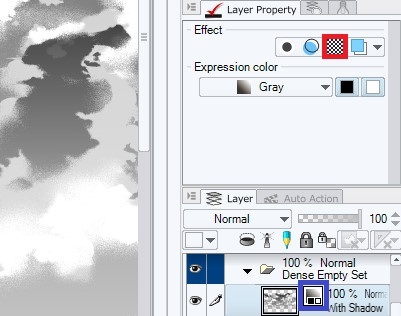 The layer (Expression color) is a toned gray mode. The number of tone lines (screen frequency) can be changed from the items in the red frame. You can freely convert from tone mode to gray mode with the tone button within the red frame. 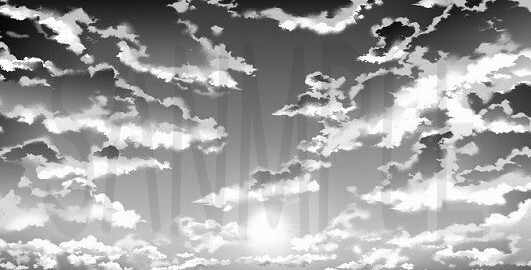 It became a gray image. Press the tone button again to return to tone mode. Material registration will be carry out. 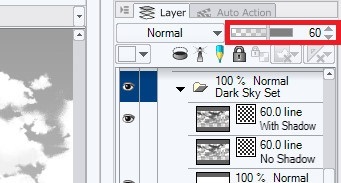 When you select a folder, you can register the layers in the folder at once. 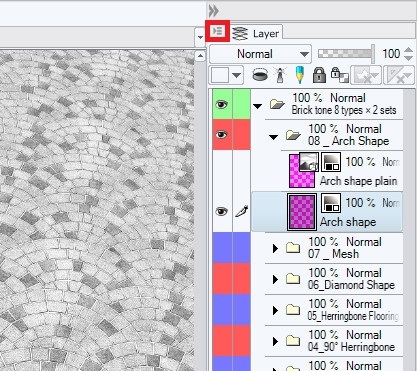 Press the mark on the upper left of the material palette (blue frame). Click Register Image as Material. Register the name by adding a name, selecting a save destination, and pressing OK.
You can import tones easily by registering material. Please use it when you want to create and register your favorite size. 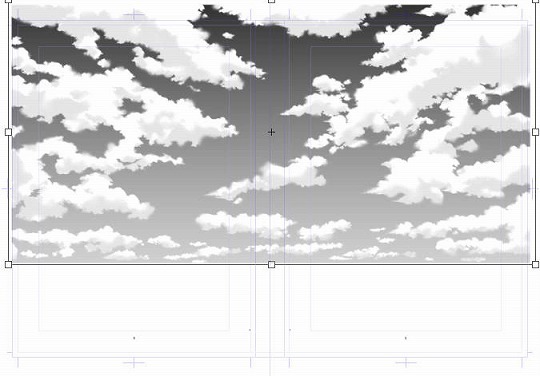 The tone material of the Manga Materials has a layer structure that can not perform tonal correction and density adjustment with tone curve in order to prevent duplication of the cloud shape. Reducing the opacity can be done by lowering the transparency inside the red frame. 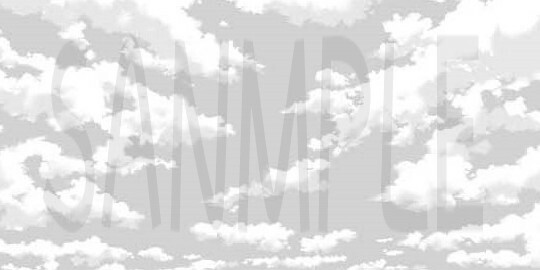 Please duplicate the layer to increase the opacity. 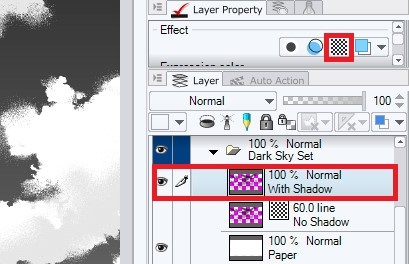 You can fine-tune the opacity by decreasing the transparency of the duplicated layer. However, in this state it is not reflected in printing yet. 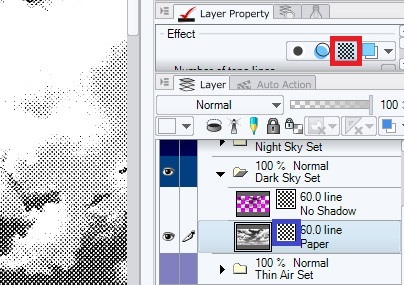 In order to reflect on printing, move the dots of the duplicated layer slightly with the moving tool. 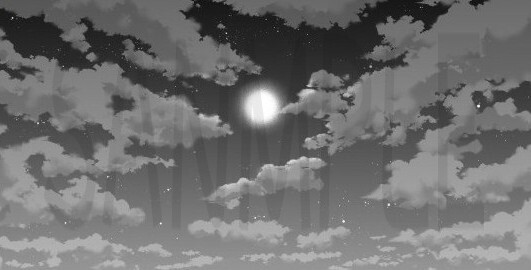 If you really want to adjust it by Tone Curve, press tone botton (return the layer to gray mode) and merge it with the bottom paper. 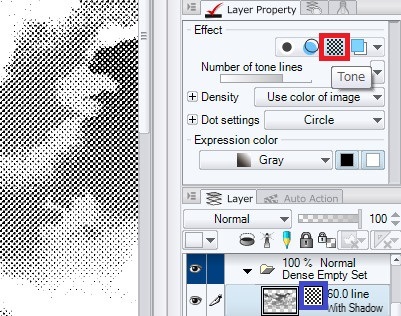 Please note that when merging with tone mode, the dots are rasterized and can not be restored to gray mode. Be sure to merge the layers back to gray mode. Merged with the paper, the background not transparent. 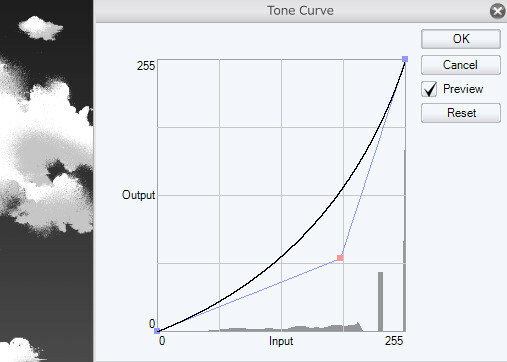 In this state, you can adjust the density with the Tone curve. ※Edit tab →　Tonal correction　→　Tone curve. Tone the layer again and it’s done. 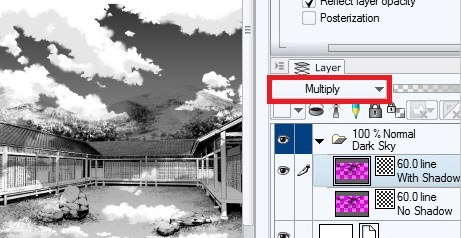 However, in this state the background is white and not transparent, so if you put it on a person or background, please change the layer to multiply mode. 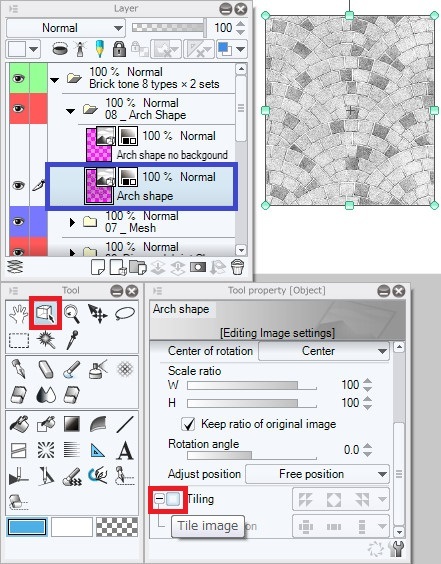 Tone material of the cartoon material studio is 7000 × 3700 pixels 600 dpi. 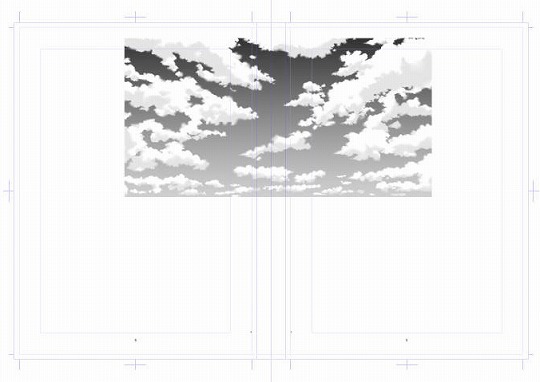 Besides the single page, it also can spread corresponding page like B4 size for by enlarging (Scale up) and adjusting. However, the size is large, so if you paste it on a single B4 page it will look like the figure below. To fit to the proper size, please Scale up or Scale down with the Edit tab or shortcut key. The number of tones is maintained firmly even when transforming. 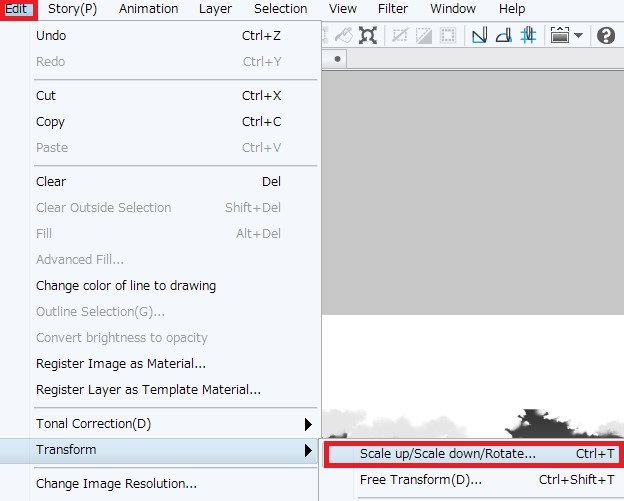 Scale down to fit a single page. Hold down the Shift key and adjust it to maintain the ratio. When spread on a B4 , it will be the size shown below. Please scale it up to fit it.